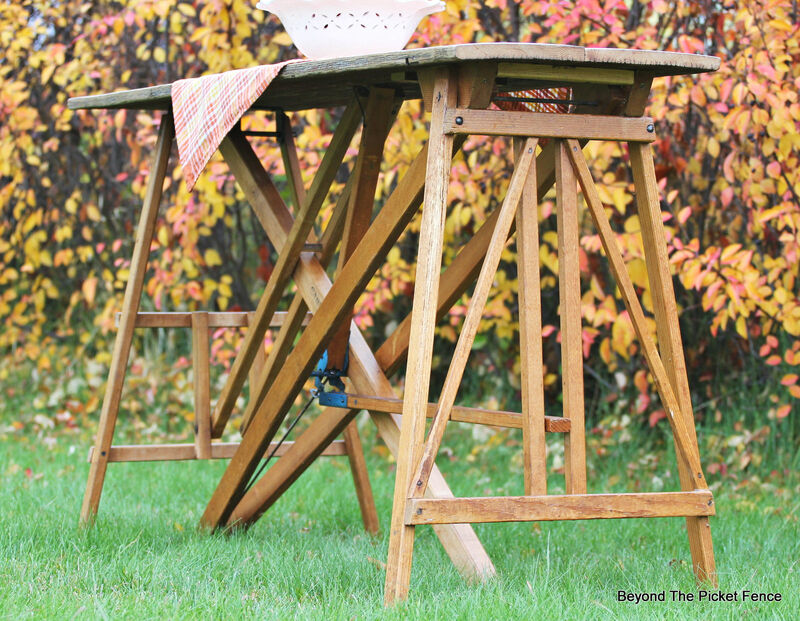 What do you say when a friend asks if you want some vintage ironing boards bases (she made signs from the wood tops)? YES, of course! I wasn't sure what I was going to do with them. I flipped them and turned them and eventually put two together to make a table base. I secured the two ironing board bases together with screws where they touched. 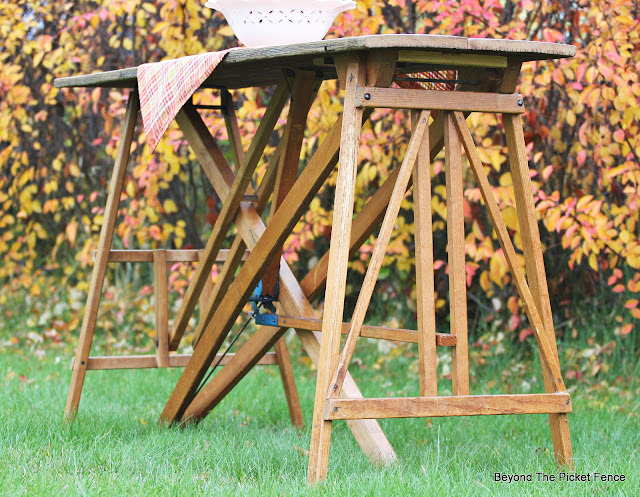 I then added two pieces of reclaimed barnwood to the top of the vintage ironing board bases. I sanded everything and finished it with a clear coat of Polyacrylic by Minwax. 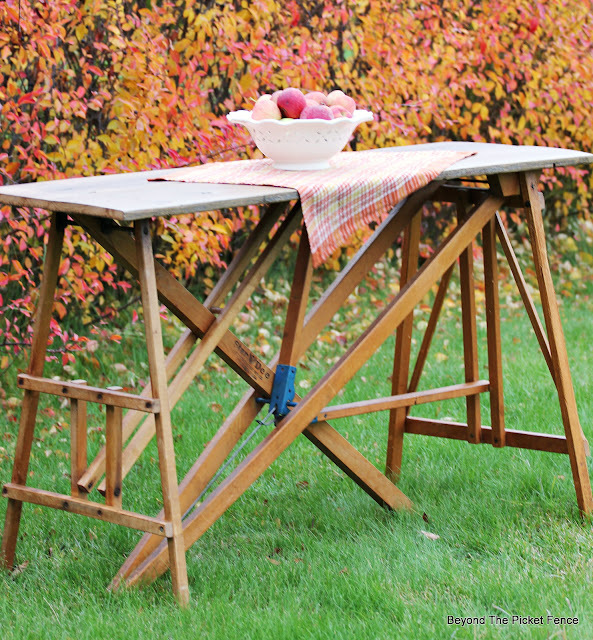 It is extremely sturdy and is a perfect table for an entry, behind a couch, or it would make a fantastic buffet table. 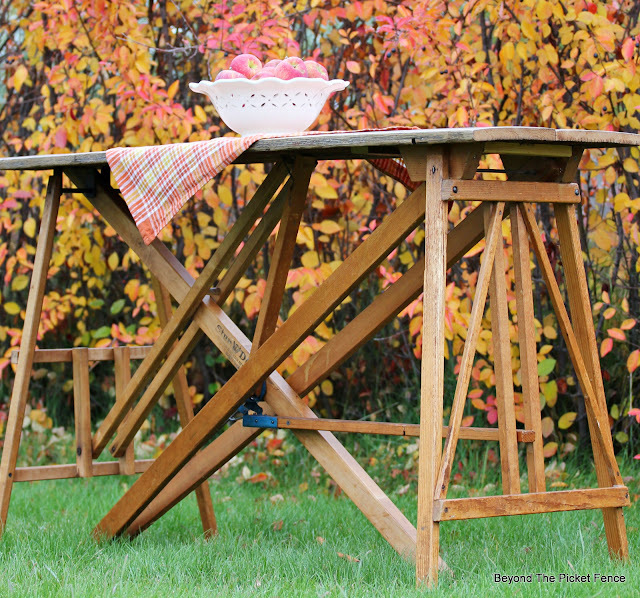 You could even add shorter stools and it would be a great kitchen table. 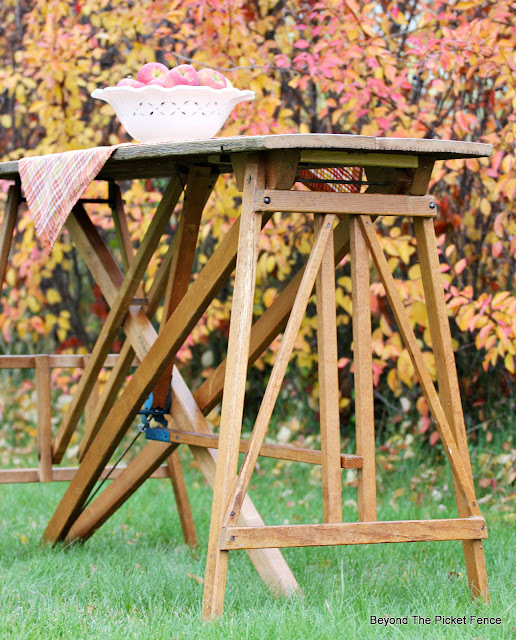 I love the intricacy of the combined ironing board legs. I love seeing what creative people come up with:) The world would be a better (and cleaner) place if we upcycled some of the things that we no longer want or need. 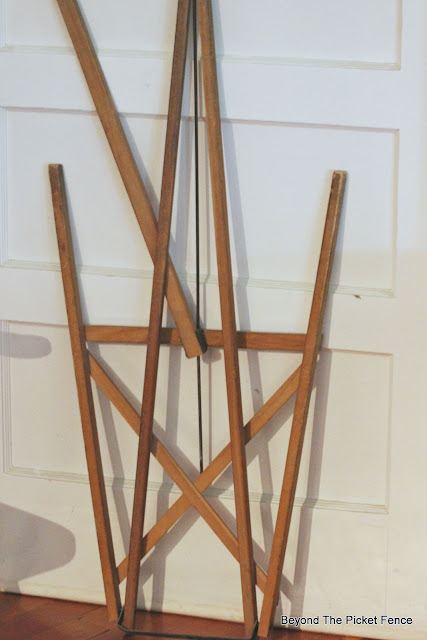 I have sometimes thought of trying to find one of these old ironing boards to use in the kitchen or laundry room when I needed extra counter space; then it could fold up and be put out of the way when not in use. 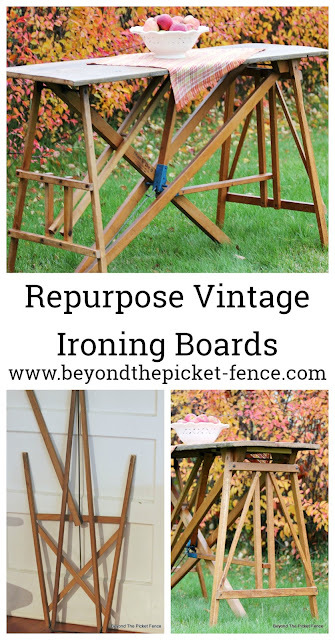 We both posted about old wooden ironing boards this week! 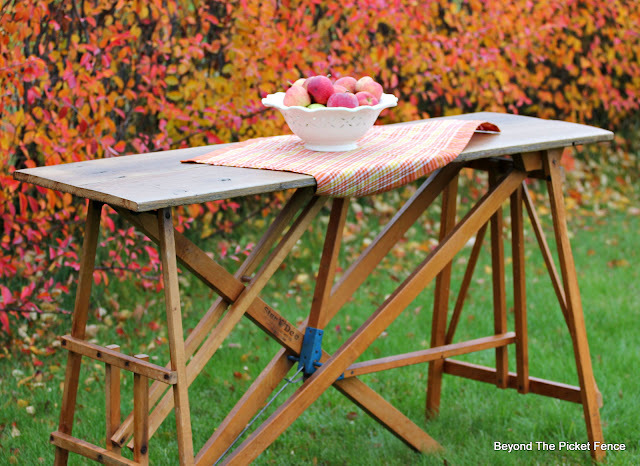 Love your idea about using them to make a table. I actually cited your blog and two photos in my post. We must be thinking alike! Awesomesauce! 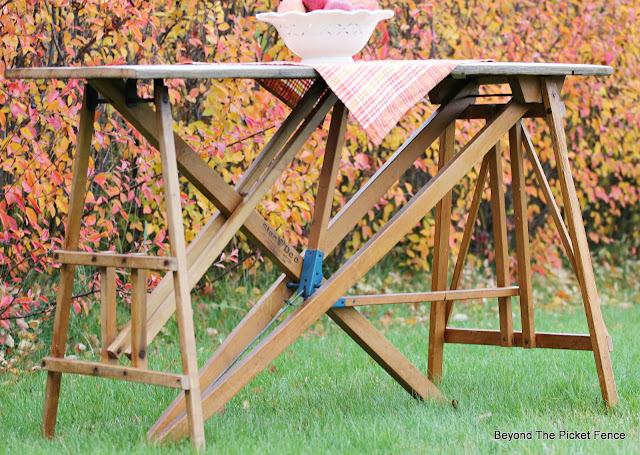 Don't cha know, I have 2 ironing boards that I bought with the intent to use the tops for signs, ha!.....now I know what to do with the legs.....love this idea! So glad I saw this before I threw the legs out.